Dr. Campbell graduated from the Kansas City University of Medicine and Biosciences in 2008 and completed her residency at the University of Kansas in 2012. 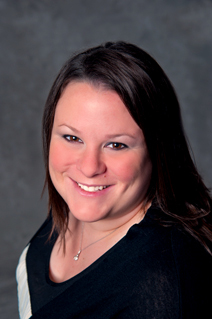 She is a Board Certified by the American Board of Pediatrics and joined our practice in August, 2012. Dr. Campbell chose a career in pediatrics because she wanted the ability to make a difference in other people’s lives from an early age. Dr. Campbell and her husband welcomed their first child in June 2013.